The Feeling of Lux Soft Touch + an Instagram Giveaway! When I became a mom, bathroom time also became a luxury. I had to master the art of quick showers so I can tend to my kids right away. While I do get to have long showers once in awhile, quick showers can also be enjoyable with the company of a good body wash or soap! And for last night's quick shower, I got to try the NEW Lux Soft Touch Body Wash! When it comes to buying or choosing a body wash or soap, one of first things I like to check is the scent. 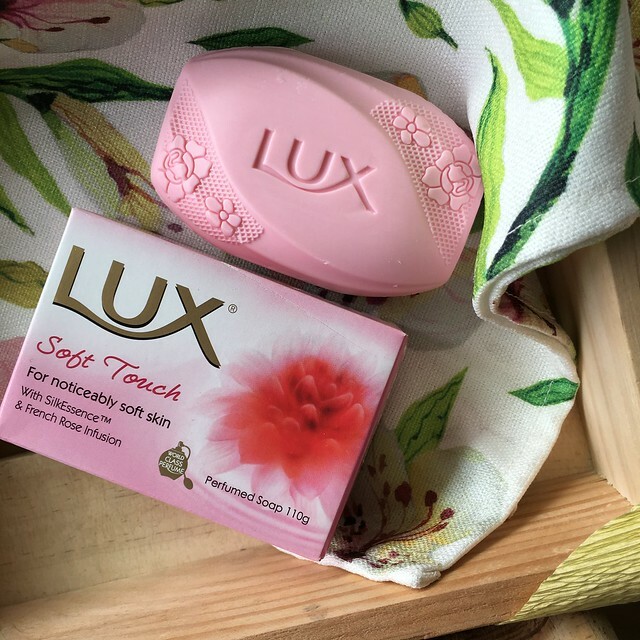 The Lux Soft Touch has a floral and fruity scent which what I really love! Since I have eczema and almost always use unscented or mild soap, sometimes it gets so boring! So I always have to have a bottle of body wash to switch it up. I've been using the Lux Magic Spell for a while now and I'm happy to try the new Lux Soft Touch. From my experience, one bottle of Lux Body Wash can last up to three months which is a really long time giving you value for money. Lux Soft Touch Body Wash SRP: Php55 for100ml and Php120 for 250ml. To use, just pour a drop of body wash on your wash cloth/bath puff or on your hand and massage all over your body. The Lux Soft Touch is infused with French Rose and SilkEssence, it really smells so good!!! The freshness of the floral and fruity scent is just what I need in this heat! It's really a treat from my boring unscented soap. I love it makes my skin silky smooth after bath! The Lux Soft Touch's fragrance is expertly crafter by master perfumer, Calice Becker. The bar soap smells as good too but a little stronger than the body wash. I like that I have an option if want to use the body wash or the soap! I like the super pretty design on the soap! Lux Soft Touch Bar Soap SRP: Php19.50 for 50g and Php39 for 100g. With Lux Soft Touch, quick showers or long showers will always be enjoyable! It feels like summer with every bath. Promise! And you can win a gift pack of Lux Soft Touch for yourself by joining Lux's Instagram contest! 2. Tell us why you love having fragrant skin. 3. Don't forget to hashtag #BatheWithLux and #LuxSoftTouch. That's it! Easy right? Good luck! Giveaway will run from from April 28 to May 28, 2016. 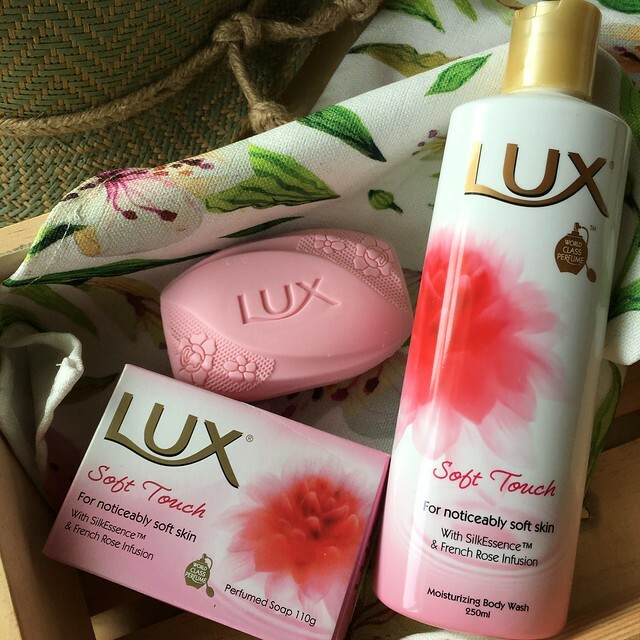 Lux will select 20 winners of Lux Soft Touch gift pack.